This entry was posted in Longleaf, Plants, Wiregrass on December 29, 2012 by John S. Quarterman. This entry was posted in Dogs, Longleaf, Okra Paradise Farms, Reptiles, Snakes, Wiregrass and tagged 9 March 2012, Brown Dog, Dogs, Georgia, Gretchen Quarterman, Heterodon simus, John S. Quarterman, Longleaf, Lowndes County, Okra Paradise Farms, Pinus palustris, Reptiles, Snakes, Southern Hognose Snake, wiregrass, Yellow Dog on March 18, 2012 by John S. Quarterman. 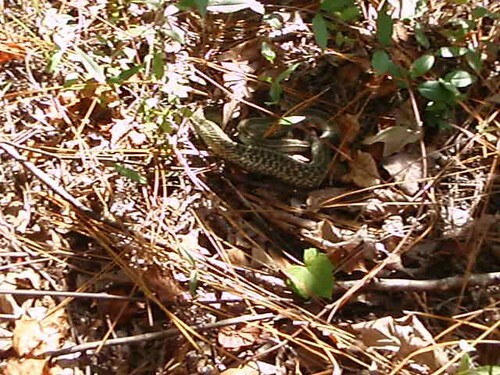 This entry was posted in Longleaf, Snakes, Wiregrass and tagged 7 September 2011, eastern coachwhip, Georgia, Gretchen Quarterman, John S. Quarterman, Lowndes County, Masticophis flagellum flagellum, snake on September 9, 2011 by John S. Quarterman. 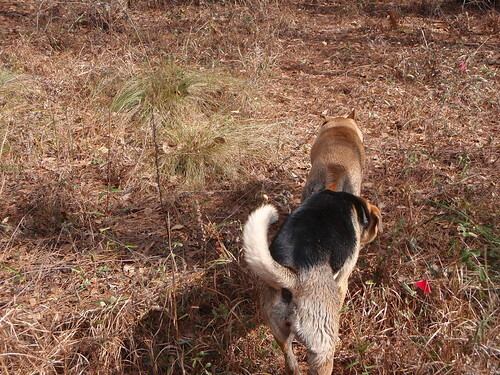 Quail and gopher tortoises eat it. Many birds, reptiles, and small animals use it for covers. For centuries settlers grazed cattle on it. Burn it in May for it to make seed in October. It thrives in fire forests with longleaf pine. The region also extends into south Alabama and north Florida. There’s so little native wiregrass left that the only place t hat seems to have a map of the region is the Huxford Genealogical Society in Homerville, right in the center of Wiregrass Georgia. This wiregrass is native; it’s been growing here for 15,000 y ears since the last Ice Age. 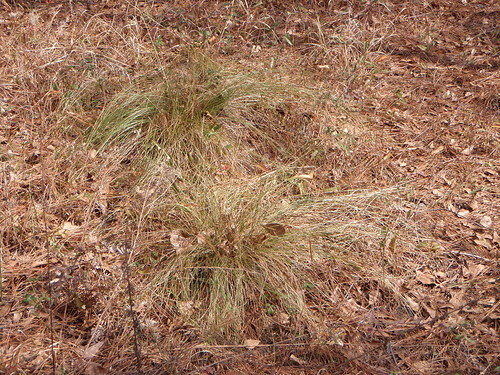 This entry was posted in History, Longleaf, Plants, Wiregrass and tagged Aristida stricta, wiregrass on March 2, 2011 by John S. Quarterman.